Canada’s mining sector got a shot in the arm in the first three months of 2016, recording gains that outperformed both the Toronto Stock Exchange and the London Metals Exchange in the period, a new report shows. The welcome bonanza, says Ernst & Young, was fuelled mainly by recovering gold prices, which rallied 16% in the first quarter of the year, after falling about 10% in 2015. 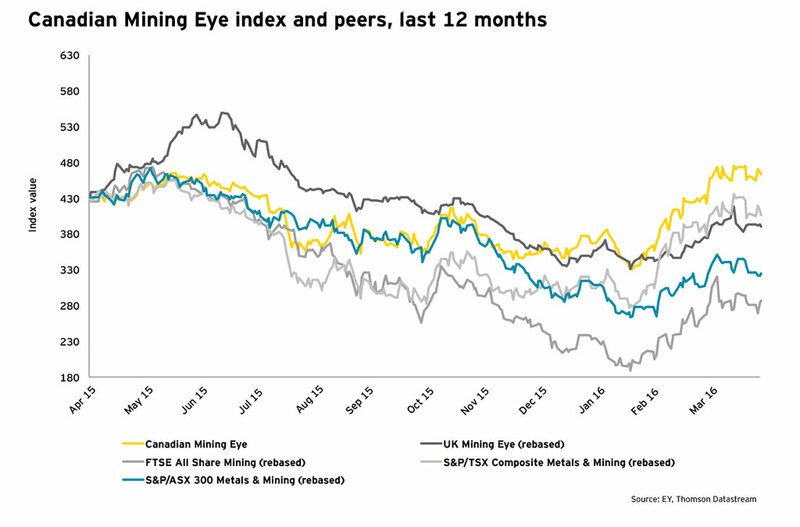 The Canadian Mining Eye index — which tracks the sector’s performance based on 100 mid-sized and junior companies listed in Toronto — gained 26% from January to March. Other key metals for the sector, such as copper and zinc, also enjoyed some nice gains. The red metal rose 4%, compared to a 9% decline in the previous quarter, while zinc went up 14%, which eliminated the loss experienced in late 2015. 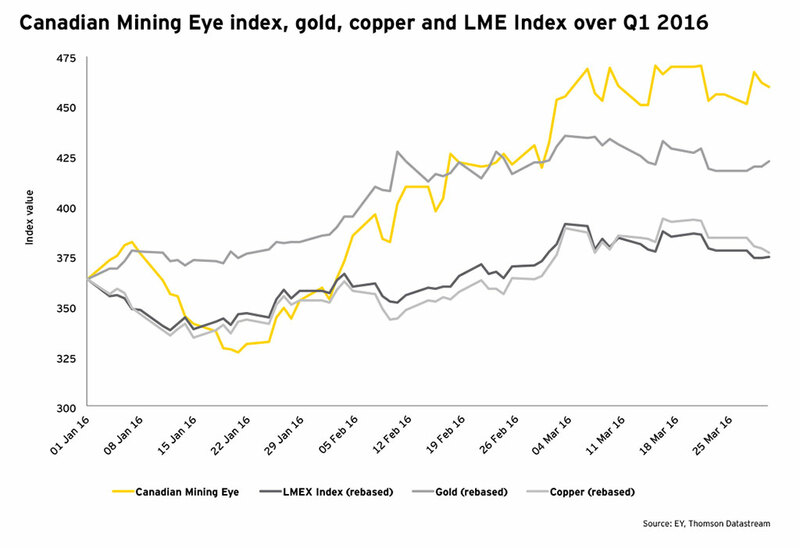 The firm’s Canadian Mining Eye index — which tracks the sector’s performance based on 100 mid-sized and junior companies listed on the TSX and TSX-Venture Exchange — gained 26% from January to March compared to 2% in the fourth quarter of 2015, the report said. In contrast, the S&P/TSX Composite index gained a mere 4% in the quarter and the London Metals Exchange index — a global trading platform for industrial metals like copper and nickel — rose only 3% over the same period. According to Bruce Sprague, EY’s Canadian Mining & Metals leader, the strong growth of Canadian mining equities also came on the back of strategic initiatives, such as non-core asset sales, aggressive cost control measures and a disciplined approach in reducing debt. 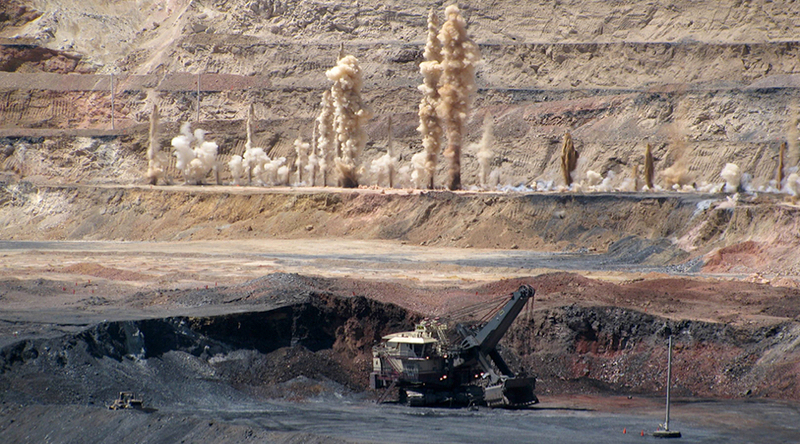 “As markets anticipate more of the positive environment over the next few quarters, we are likely to see a turnaround of fortunes for mining companies,” Jay Patel, E&Y’s leader of mining and metals transactions in Toronto, said in a statement. “At the other end of the spectrum, challenging global market conditions remain, so some caution is warranted,” he added. Major mining companies saw their shares gain 21% in the period, compared with a slight gain of 1% in the fourth quarter of 2015. World’s top bullion miner Barrick Gold (TSX:ABX) was one of the companies that experienced the most significant rebound, with the stock more than doubling in price this year, which makes it a top performer on the Toronto Exchange this year. While the Canadian Mining Eye’s strong start this year is a reflection of the progress many miners are making, E&Y believes this year will bring modest return to growth, underpinned by improved investor confidence. With government bonds expected to see limited upside, warn the analysts, gold appears more attractive for mitigating risk and portfolio diversification in 2016. The E&Y index tracks companies with market capitalizations between $47 million and $1.6 billion, which are seen as a key barometer for the industry, since they do most of the exploration.